Bakken ("the Hill") is the worlds oldest amusement Park - dating back more than 400 year back. Bakken - also called Dyrehavsbakken - is located in a beautiful large forest just north of Copenhagen - and it is a very unique place. It has a lot of old traditional amusements but also modern roller coasters and electronic games. 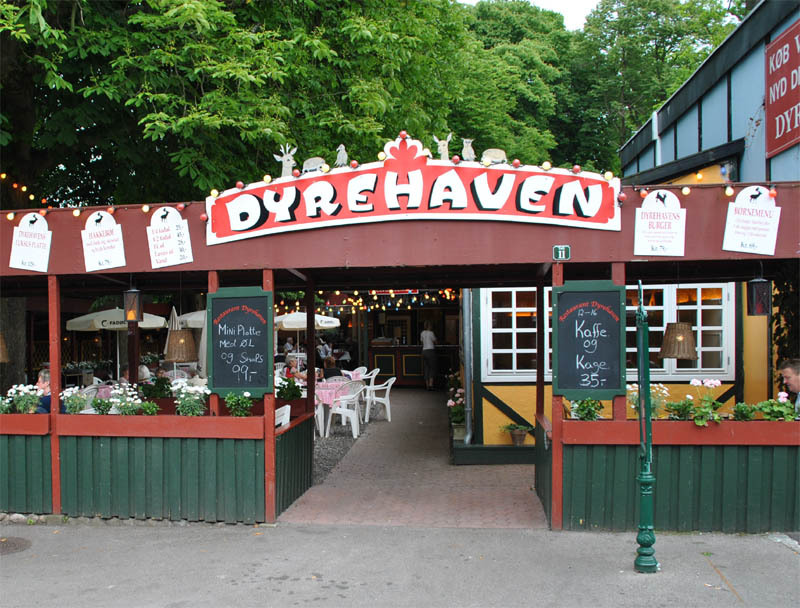 Besides this the park has lot of restaurants selling all kinds of food - mainly traditional Danish food. 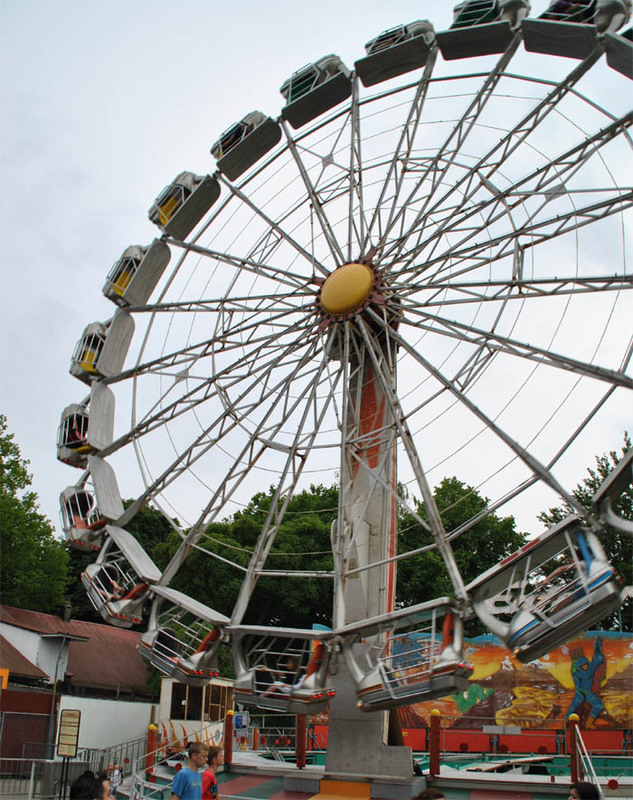 The park is one of the most popular attractions in Denmark. 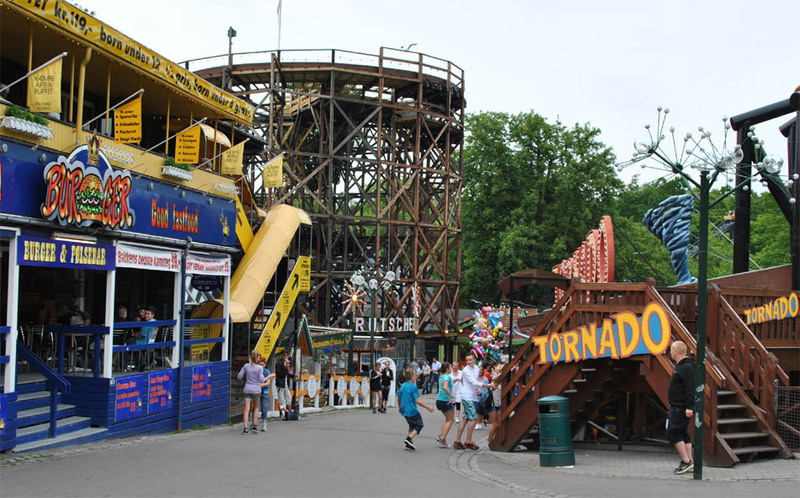 The old wooden roller coaster at Bakken Amusement Park - Copenhagen. 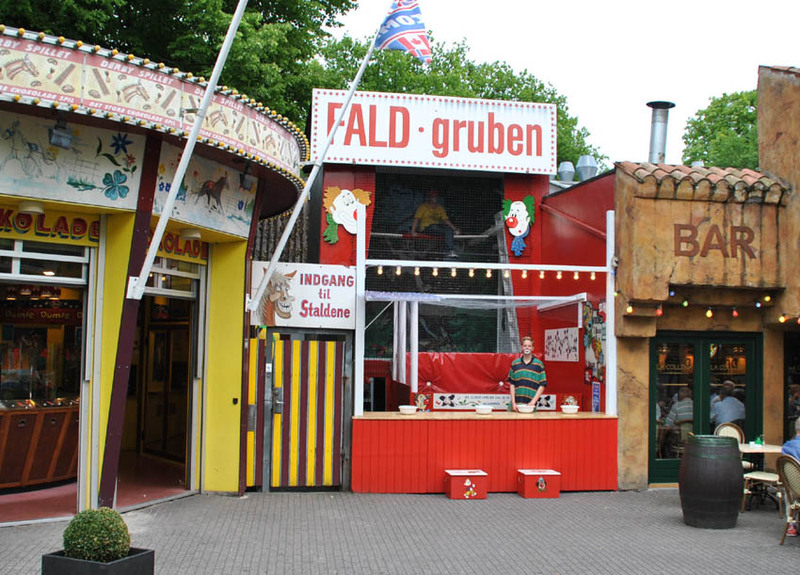 One of the many smaller restaurants at Bakken Amusement Park - Copenhagen. 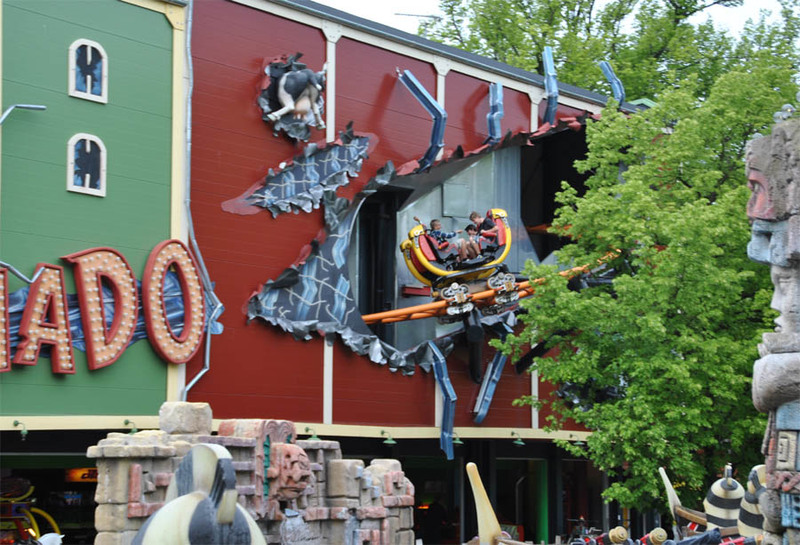 One of the more speedy amusements at Bakken Amusement Park - Copenhagen. 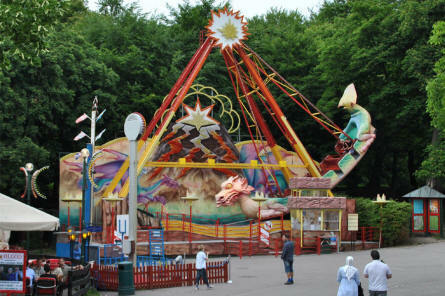 One of the many rides that can be used by all of the family at Bakken Amusement Park - Copenhagen. One of the many traditional amusements at Bakken Amusement Park - Copenhagen. 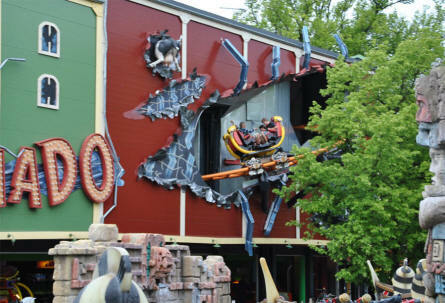 Throw a ball and see if you can get the clown to fall down into the water. One of the newer roller coasters at Bakken Amusement Park - Copenhagen. It runs in and out of a building.